See also: Category:United Nations General Assembly observers. The main article for this category is Member states of the United Nations. This category includes both current and former state members of the United Nations. 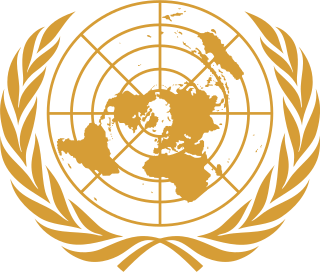 Pages in category "Member states of the United Nations"
As of 21 April 2019, there are 193 member states of the United Nations (UN), each of which is a member of the United Nations General Assembly. United Nations General Assembly Resolution 273 was adopted on May 11, 1949 to admit the State of Israel to membership in the United Nations. It was passed following the approval of UN Security Council Resolution 69 on March 4, 1949. United Nations Security Council resolution 777, adopted unanimously on 19 September 1992, after reaffirming Resolution 713 (1992) and all subsequent resolutions on the topic, the Council considered that, as the state known as the Socialist Federal Republic of Yugoslavia (SFRY) ceased to exist, it noted that under Resolution 757 (1992), the claim by the Federal Republic of Yugoslavia to continue automatic membership in the United Nations was not widely accepted and so determined that membership of the SFRY in the United Nations cannot continue. Therefore, the Council recommended to the General Assembly that the Federal Republic of Yugoslavia cease participation in the General Assembly and apply for membership in the United Nations. United Nations Security Council resolution 821, adopted on 28 April 1993, after reaffirming Resolution 713 (1991) and all subsequent resolutions, the Council also recalled resolutions 757 (1992), 777 (1992) and General Assembly Resolution 47/1 (1992) which stated that the state formerly known as the Socialist Federal Republic of Yugoslavia had declared to exist and that it should apply for membership in the United Nations and until then should not participate in the General Assembly. United Nations Security Council resolution 1326, adopted without a vote on 31 October 2000, after examining the application of Federal Republic of Yugoslavia for membership in the United Nations, the Council recommended to the General Assembly that Yugoslavia be admitted. The Group of Asia and the Pacific Small Island Developing States, or Asia-Pacific Group, is one of the five United Nations regional groups and is composed of 53 Member States from Asia and the Asia-Pacific regions.